Now offering Heat Shrink Printing, contact us for details. 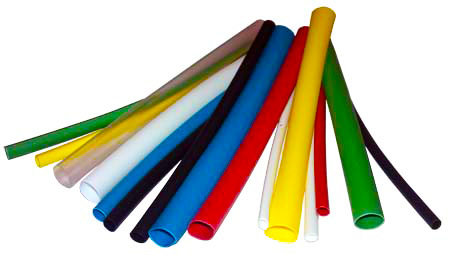 Polyolefin Heat shrink tubing can be used in a variety of applications in the military, commercial, and consumer markets. 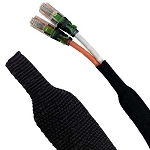 All heat shrink tubing will shrink lengthwise as well as its diameter; 2:1 shrink tubing will shrink one half of its nominal diameter and less than 7% of its length. Attention: Due to the nature of the manufacturing process, same colors may not exactly match between sizes, models and batches. Sizes given are approximate and will vary. 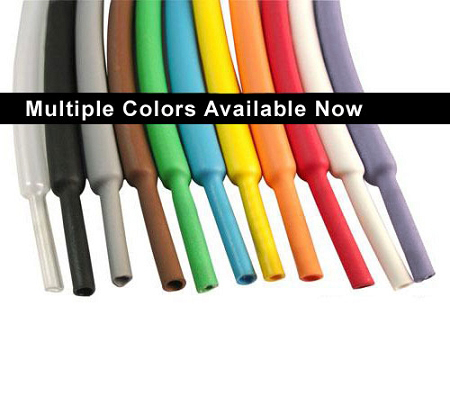 Available in an array of colors and diameters from 3/64" to 4"
2:1 heat shrink can be used in any enclosed area where a flame-retardant, halogen-free environment is required, such as Metro, skyscraper, mass transit vehicles and ships. This is second time I have ordered from this company. Love the product, but wish it was available in more colors in this size. They were also out of the lengths I ordered, but customer service was very accommodating in getting a replacement. I will order from them again. No problem with all products received ! We use this heat shrink to wrap air hoses on our pressure washers. Great product. Very strong and durable. Couldn't be happier with the product or service! Great product. Exactly what I was looking for. Already placed another order. Thanks for the great service. Product arrived as advertised. Even better service, made a mistake on order. Chris stopped the package after it was ready to ship. Changed to updated product and completed the order with no fuss! As always your products arrive as described. Your shipping time is very quick & your shipping cost fair. Your large variety of colors is one of the most important reason I buy from you. I needed brown in 1-1/2 inch 2:1 shrink and yours is the only place I could find it. I will use you again. Thank you, a very satisfied customer. I needed heat shrink tubing to use on a carry strap made of paracord.The paracord was 3/8th inch diameter. I used the 3/4 inch brown 2:1 shrink tube to cover part of the cord. It was a great success. It turned out as good as I envisioned it. I've used large diameter shrink tube for other projects bought from other suppliers but Electriduct is the only supplier to over a large variety of colors & sizes. At a fair price & very quick shipping, Electriduct will be my go to source from now on. Heat shrink was used to coat brake lines in a car restoration project.